To all my lovebirds who are still trying to figure out what to do for Valentine's day, here's a local event you might like. 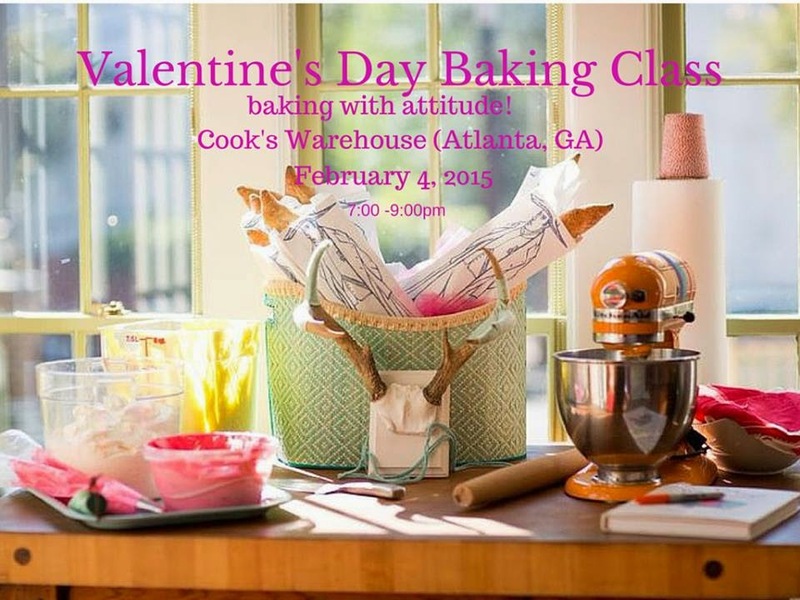 They say the way to a man’s heart is through his stomach so our friend and cookbook author Libbie Summers will be hosting a cooking class inspired by her second cookbook: Sweet & Vicious—baking with attitude at Cook’s Warehouse on Wednesday, February 4th to show you how to put love back into your food! • Hot and Heavy Baby Cakes with Kiss Me Frosting (Candy-spiced Vanilla Cake with Cinnamon Candy Frosting) – Libbie will show you how to decorate these in lots of fun and inventive ways! We’ll have copies of Sweet & Vicious as well as Libbie’s other cookbooks available for purchase. Have your copies personalized and signed by Libbie after class. Libbie has been featured in Better Homes & Gardens, Southern Living and recently seen on the OWN Show, Camille Styles and Glitter Guide. Her YouTube Channel includes unique and entertaining videos including 20 Creative Pie Crimps in 120 Seconds, which recently won an IACP Award for Single Focused Food Film. 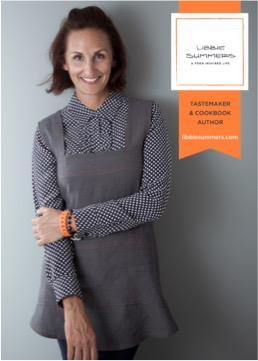 She is an experienced, entertaining and inspiring on-air guest who has played hostess to countless corporate, charitable and industry events. She recently launched #15SecondSunday on her Instagram where she showcases 15-second how-to videos featuring recipes, craft ideas and more. Summers lives in Savannah, Georgia, with one husband, one son, and one opinionated-dog who is lobbying for her own Instagram account. She maintains her body and body of work are both food inspired.